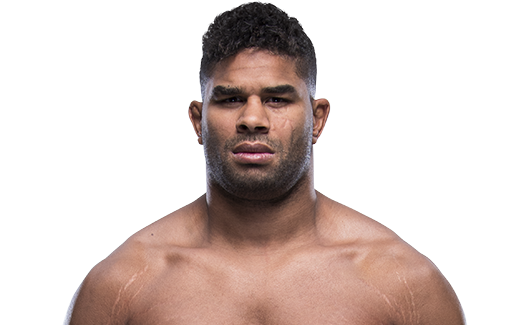 Kelvin Gastelum survived the ground game of fellow middleweight contender Ronaldo “Jacare” Souza in the first round of their UFC 224 co-main event to come back in the next two frames and win a close split decision at Jeunesse Arena in Rio de Janeiro. Scores were 29-28 twice and 28-29 for the No. 5-ranked Gastelum, now 16-3 with 1 NC. The No. 2-ranked Souza falls to 25-6 with 1 NC. Souza was intent on getting the fight to the mat, and while Gastelum was able to resist for a while, with a little over three minutes to go, he was put on the deck by the Brazilian. Souza was able to secure the mount position, and with a little over a minute left, he went for Gastelum’s arm. The Arizonan defended well, escaping just before the end of the frame. Gastelum came out fast for round two and began tagging Souza, who was soon bloodied by the incoming blows. Then “Jacare” was dropped by a left hand just past the midway point of the frame, and while Gastelum wasn’t able to finish, Souza was slow to get back to his feet. 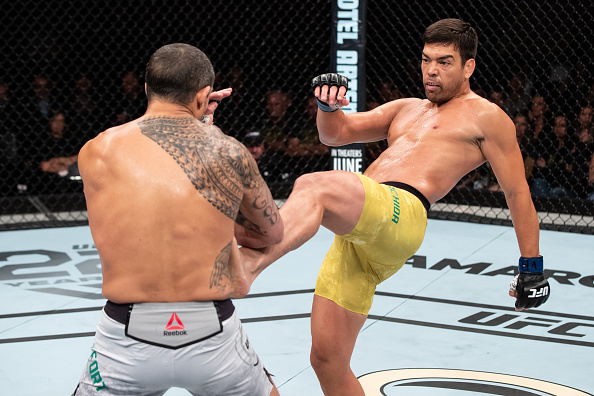 The Brazilian wasn’t done yet, though, and he kept throwing and landing power shots that were answered by Gastelum as a thrilling round came to a close. Gastelum was clearly the fresher fighter in round three, but Souza still found a way to dig deep and land hard shots, thrilling the fans in attendance as the two went blow for blow down the stretch. It was a rough week for Mackenzie Dern, who came in at 123 pounds for her strawweight bout with Amanda Cooper, but when the Octagon door closed, the unbeaten Dern delivered big, as she submitted Cooper in the first round. 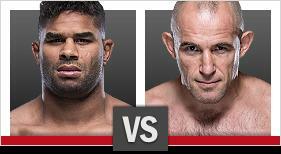 Dern was winging overhand rights from the start, coming up short on the more technically sound Cooper. But when one of them landed with a little under three minutes to go, it dropped Cooper and that was all she wrote, as the decorated Brazilian Jiu-Jitsu black belt took the Michigan native’s back and sunk in the rear naked choke that produced a tap out at 2:27 of the opening frame. Dern moves to 7-0 with the win. Cooper falls to 4-4. Paranagua slugger John Lineker delivered his best performance since his 2016 finish of Michael McDonald, as the bantamweight contender knocked out Brian Kelleher in the third round. Kelleher had his moments in the opening round, particularly in the form of a left hand that wobbled Lineker’s legs. But the round still belonged to Lineker, who scored a quick knockdown just before the midway point of the round and landed several more hard blows. Lineker upped his work rate in the second, with his brutal hooks to the body doing the most damage. And while he staggered Kelleher with a body shot with a little less than three minutes remaining, the New Yorker shook it off and got himself back in the pocket with his opponent. 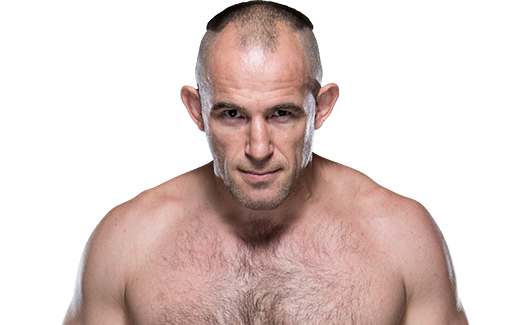 Lineker continued to impress in the third, and just when it looked like Kelleher’s iron chin was going to get him to the final horn, “Hands of Stone” unleashed a left hook that landed flush and put Kelleher on the canvas, with referee Leon Roberts calling an immediate stop to the bout at 3:43 of the final round. The No. 6-ranked Lineker moves to 31-8 with the win. Kelleher falls to 19-9. In a middleweight clash of Brazilian superstars, Lyoto Machida put a damper on Vitor Belfort’s final fight, knocking out “The Phenom” in the second round. “It’s been a long ride,” said Belfort before leaving his gloves in the middle of the Octagon after concluding an epic career that began in October 1996 and saw him star in the UFC and PRIDE, defeating the likes of Tank Abbott, Wanderlei Silva, Heath Herring, Matt Lindland, Rich Franklin, Anthony Johnson, Michael Bisping, Luke Rockhold and Dan Henderson, just to name a few. It looked like the two MMA icons were settling in for the long haul early on, as outside of some kicks from Machida and the occasional flurry from Belfort, there was little significant scoring in the opening round, as the two respectfully circled each other, looking for an opening to land. The second round was going along the same pattern until Machida struck suddenly and in devastating fashion, with a left kick down the middle that landed flush on Belfort’s jaw and knocked him out, with referee Marc Goddard jumping in immediately to stop the fight at 1:00 of round two. The No. 12 Machida moves to 24-8 with the win. The 41-year-old Belfort retires with a 26-14 with 1 NC.